A brush fire northwest of the Durango Tech Center brought a quick response Monday afternoon from Durango Fire Protection District firefighters, who already are sounding the alarm for the upcoming fire season. Durango Fire sent 18 firefighters, with three large engines and a pickup to the blaze. The fire raised flames and a healthy plume of smoke but was contained to about one-quarter acre, said Rod Allen, Durango Fire battalion chief. Allen said the response was heavier than normal because of the proximity of the fire to several local fire stations. He said his humidity reading of 12 percent and thermometer reading of 65 degrees were surprisingly low and high, respectively. The fire was within city of Durango boundaries but adjacent to federal Bureau of Land Management lands, Allen said. The call went out at 2:02 p.m., and the fire was contained at 4:25 p.m., he said. Two homeless camps were found in the area where the blaze began, Allen said, but law enforcement and fire district investigators had not finished their probe as of Monday evening. Winds from 5-10 mph and gusts up to 20 mph were giving firefighters headaches as they battled the blaze on steep hillsides of ponderosa, piñon and juniper. A continuing lack of moisture in Southwest Colorado, particularly in lower elevations, has led to the unseasonably dry conditions. As of Sunday, Durango had received just 2½ inches of snow in February. On Feb. 17, Los Pinos Fire Protection District firefighters put out two fires, one 2½ acres and the other 1 acre. Tom Aurnhammer, deputy chief of Los Pinos Fire, based in Ignacio, said Monday that the district is already planning on bringing in its two-person seasonal wildland firefighting crew a week or two early. Among other tasks, the crew assists with controlled burns on agricultural land. Doughty said Monday’s fire was a good reminder that those wanting to do controlled burns need to require permits and call their local fire district on the day of their burn. Plan ahead and watch weather conditions, he cautioned. “Make sure you can do it safely,” he said. johnp@durangoherald.com. Photographer Shaun Stanley contributed to this report. Firefighters are sounding the alarm about unseasonably warm and dry conditions, and they are worried about an early fire season given the dearth of winter snow. 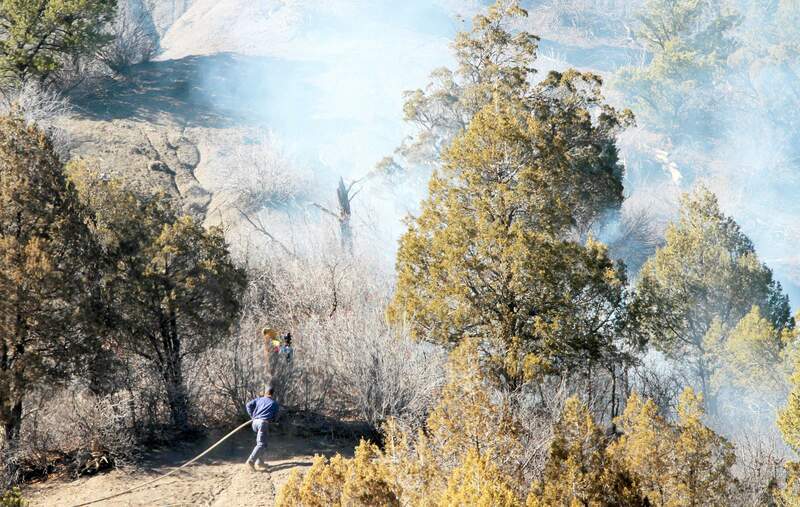 On Monday afternoon, they contained this brush fire to about one-quarter of an acre just west of the Durango Tech Center. 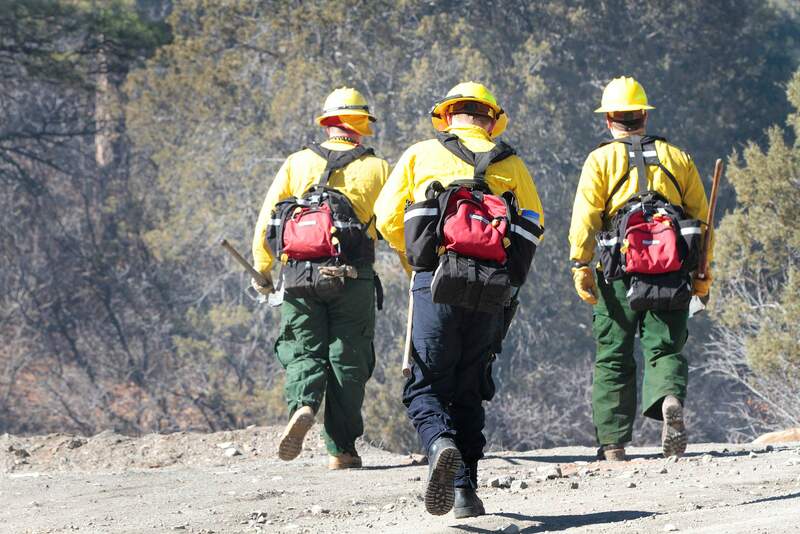 Firefighters head toward a brush fire Monday afternoon just west of the Durango Tech Center. So far this month, Durango has received only 2½ inches of snow – setting off early alarms about a dangerous fire season.